AV01. 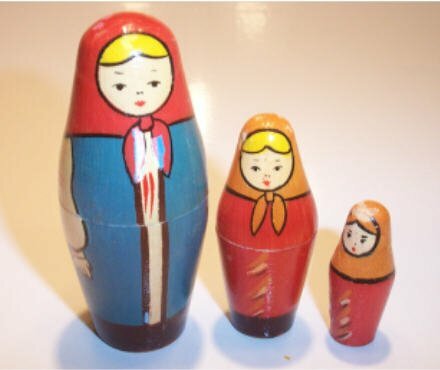 Rare Oblong 3n Maidens 4"
This type of oblong Russian Maiden is very difficult to find. It is listed in the Lefkowitz book as being from an unknown area of the Soviet Union, but possibly Zagorsk.